Nanfoule added 4/23/13 (belated thanks to Nauma.) 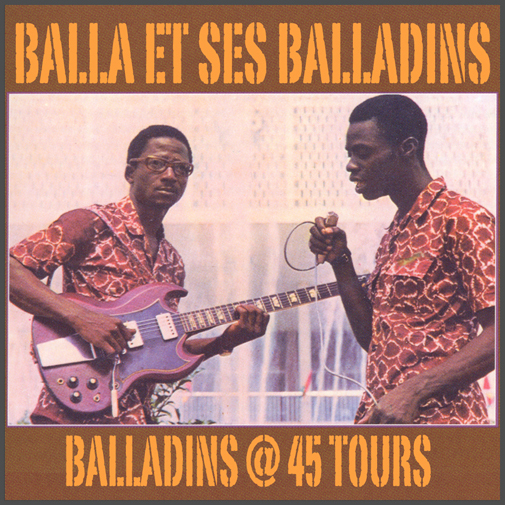 The Balladins stand alongside Bembeya Jazz as the most sophisticated of Guinea's golden age authenticité bands, among so many great ones. 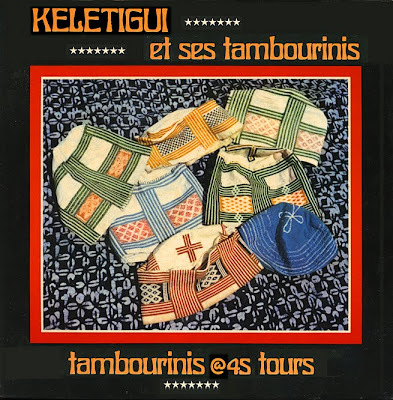 Their Syliphone 45s hold much of their absolute best work, stunning in its quality and variety, as the Sakhodougou - Samba - Kognö Koura sequence shows. Whether languid or swinging, you can pretty much count on quivering Latin horns as well as electric guitars that use surf, soul and psychedelia to recast ancient stories in service of a revolution. This collection is now complete, the heretofore missing b-side Vacillon a very fine guitar workout. Singles compilation featuring another of Guinea's wondrous state-sponsored authenticité outfits. Collection is now complete, adding another Franklin Boukaka 45 and the b-side of the Tambourinis' final single, a fitting farewell ballad. Enjoy. 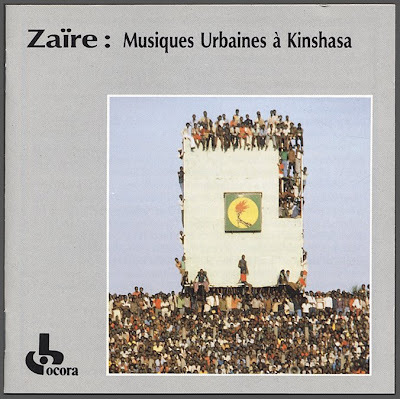 The tale of how a collection of Congolese thumb pianos provided the missing link between punk, techno and all points in between, has taken 25 years to tell. And like fellow music visionaries across the globe, the remarkable sound they created was forged in the most desperate of circumstances and in the harshest of places. 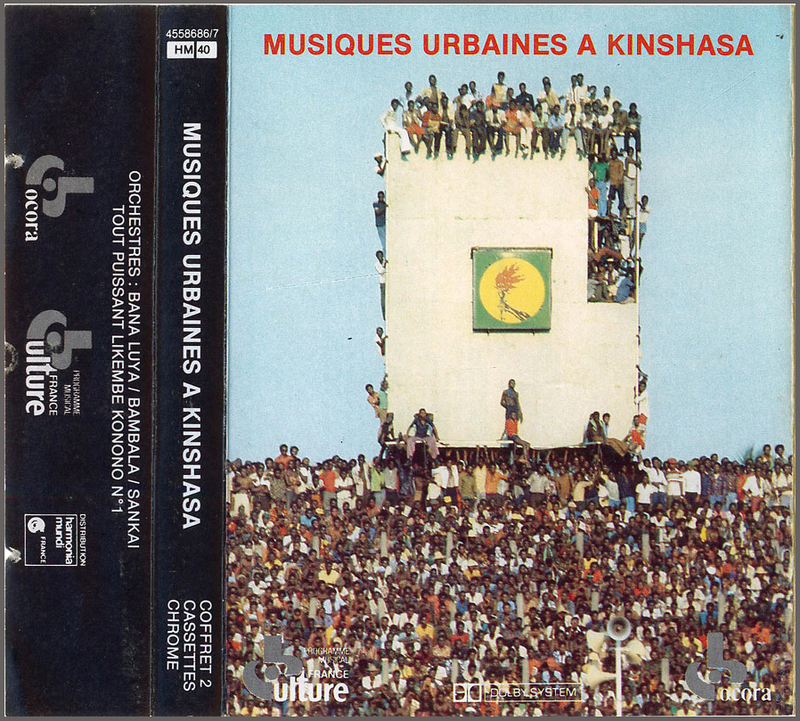 Konono No 1 emerged from the Angola/Congo border bush and relocated to Kinshasa, steeped in the traditional Bazombo trance music. They amassed a collection of differently pitched likembé (thumb pianos, or metal rods attached to resonators and pick-ups), plus pots, pans, cutlery, microphones adapted from car parts, whistles, massed vocals passed though megaphones and a massive sound system. This remarkable, unique noise soon garnered a fanatical following at home. The DIY nature of their equipment provided an integral, distorted sound, a healthy hum seeping into every rhythmic pause. The combination of all these elements created something notably African in pace and texture, coincidentally nodding to Western electronica. The likembé merge to provide a brutal, hypnotising beat, the cousin to The 13th Floor Elevators' electrified jug or John Cale's manic viola. The rapid intensity of rhythm matches the finest exponents of Krautrock, occasionally drifting close to the confused energy of Aphex Twin or Autechre, with the damaged tempo of Beefheart or Marc Ribot slithering in. This music comes from somewhere unknown and offers hope that there are worlds of music out there, unexplored and waiting to be discovered.